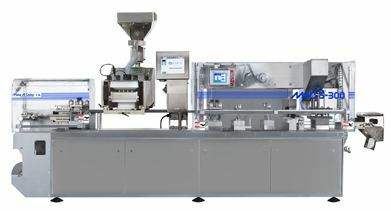 The MAC S-300 blister machine is capable of both thermoforming and cold-forming. Service Industries is partners with Sepha and is their exculsive distributor of blister packaging machines, deblistering machines, and non-destructive leak testing machines for the U.S., Canada, and Puerto Rico. The MAC S-300 blister machine is capable of both thermoforming with plug assist, and cold-forming.